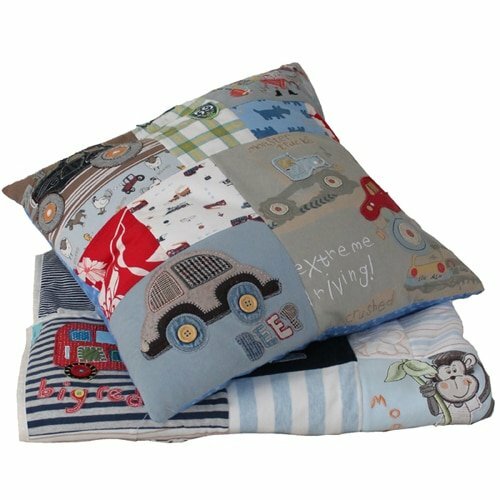 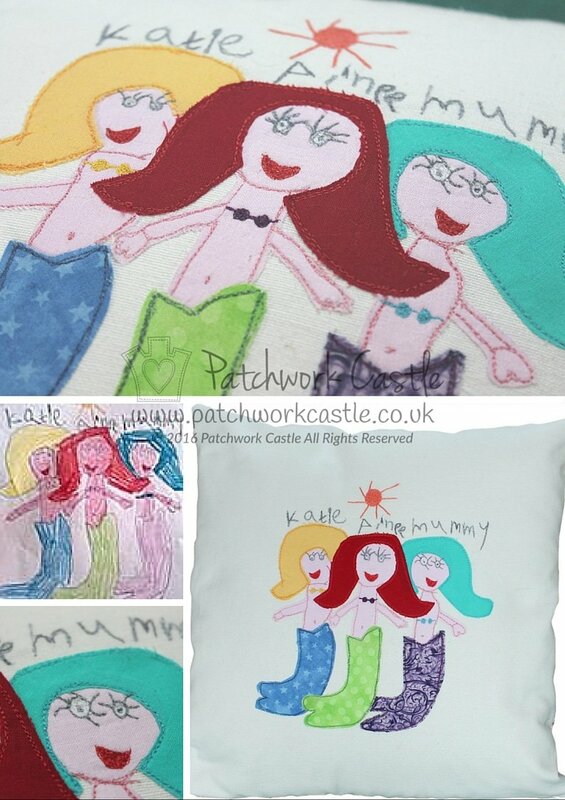 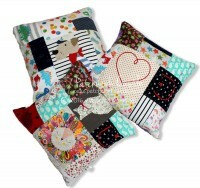 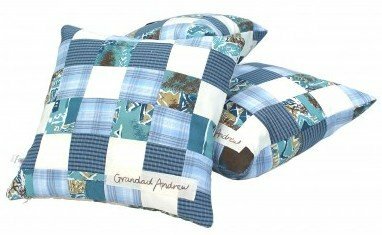 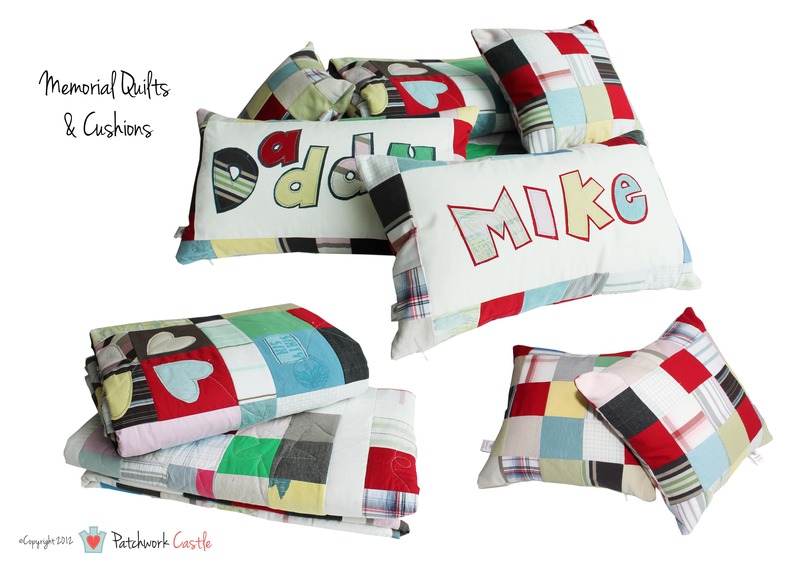 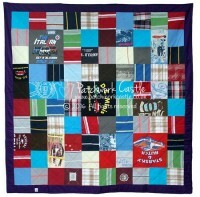 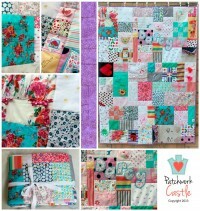 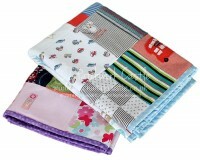 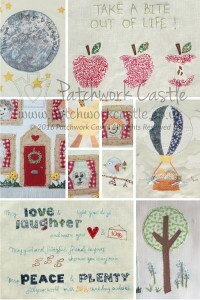 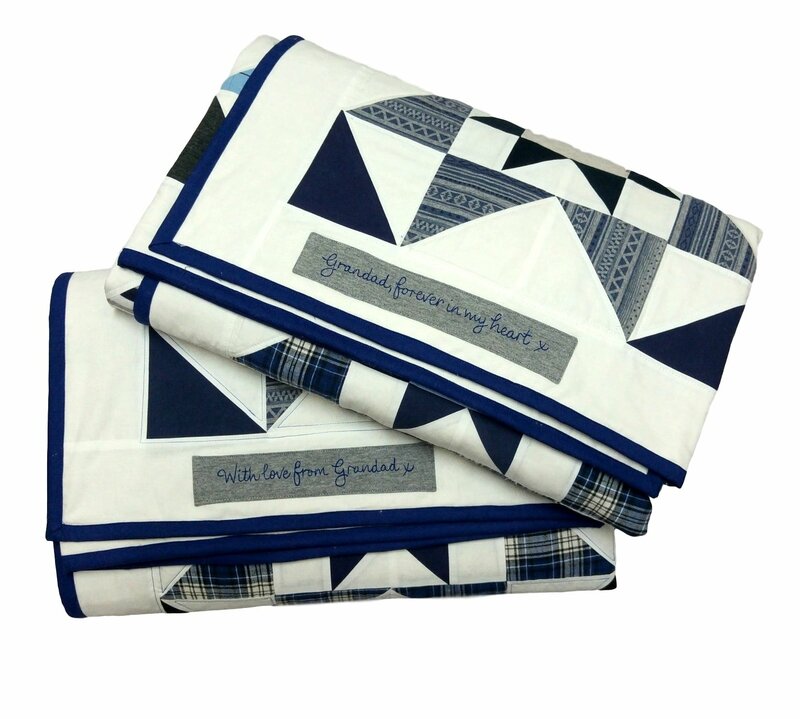 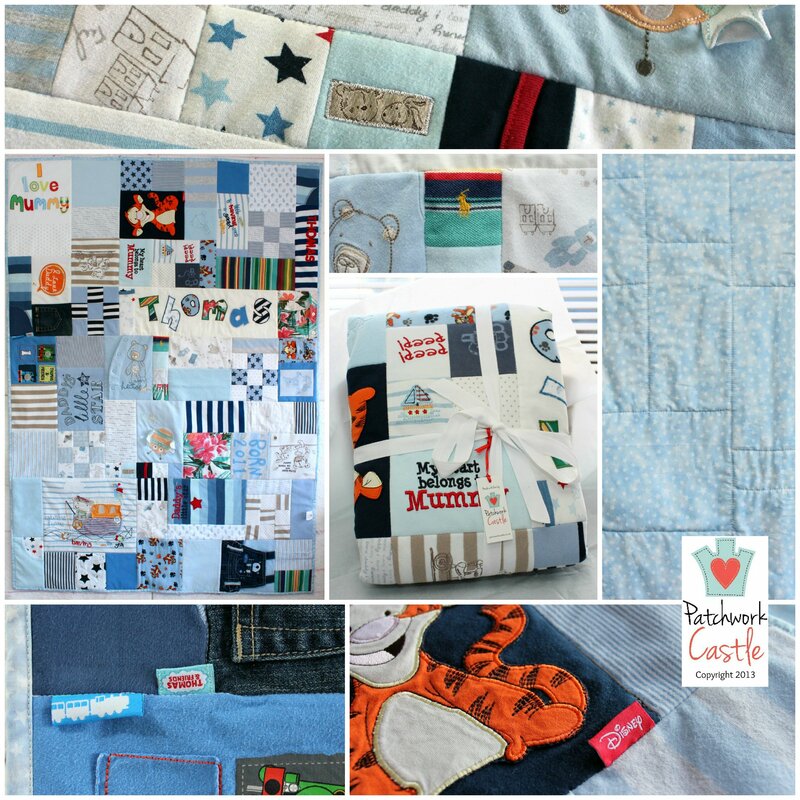 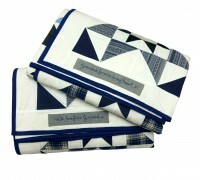 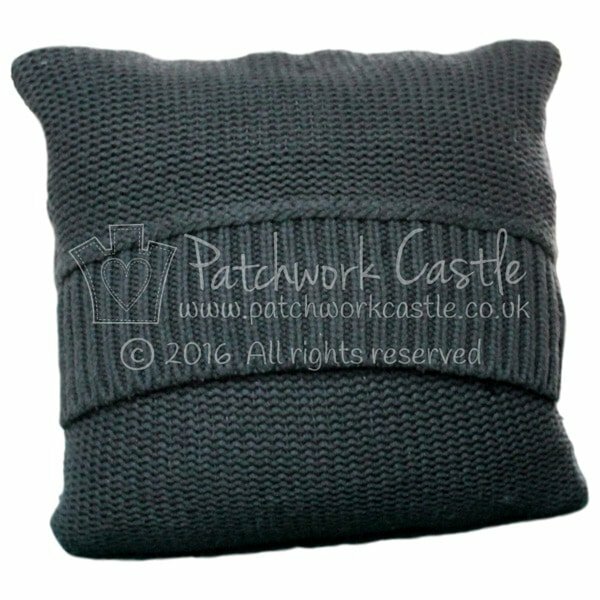 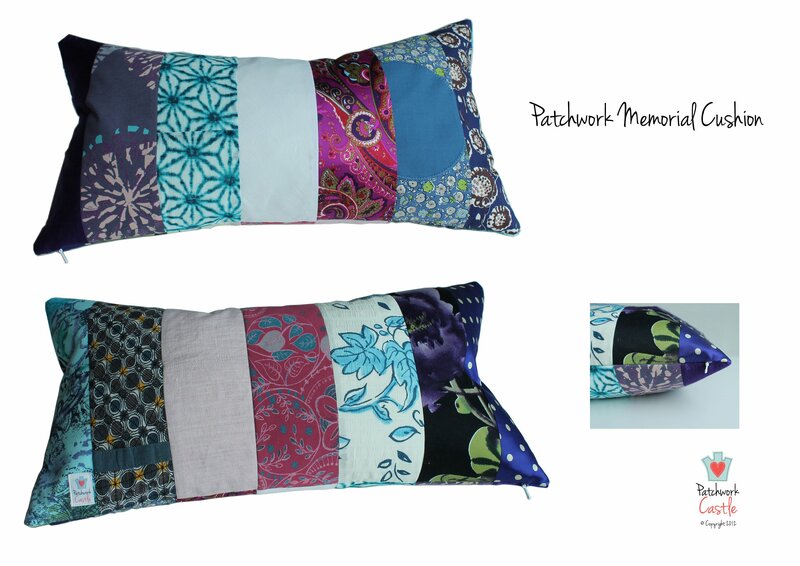 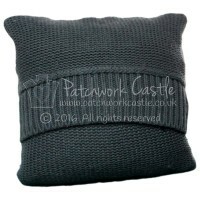 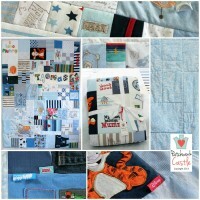 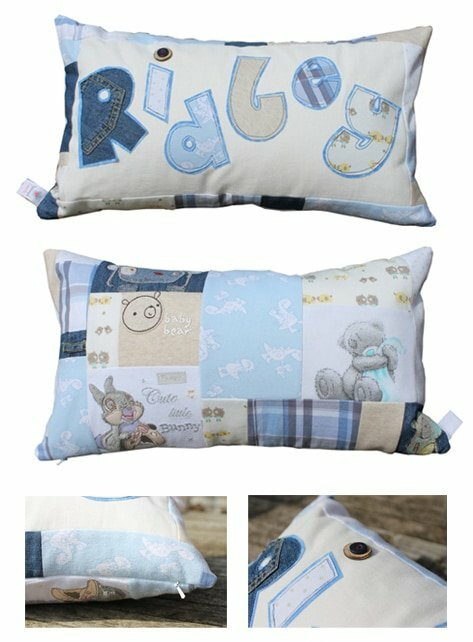 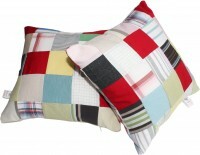 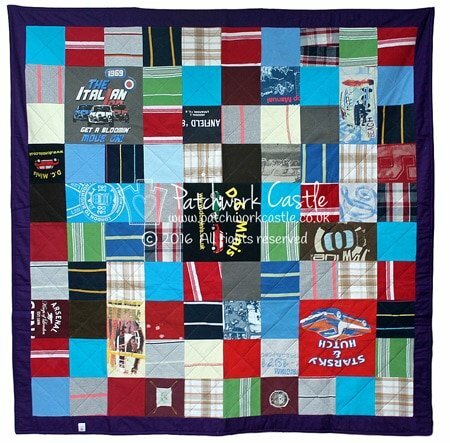 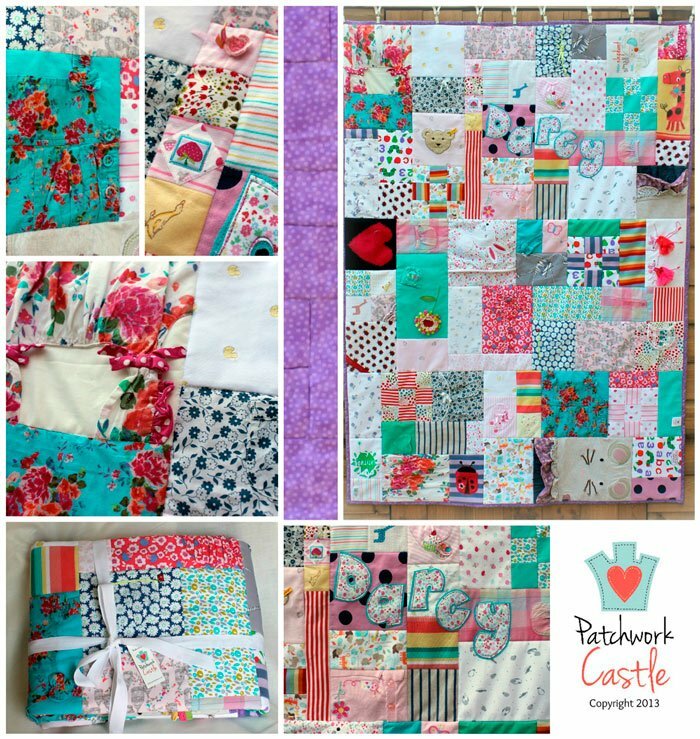 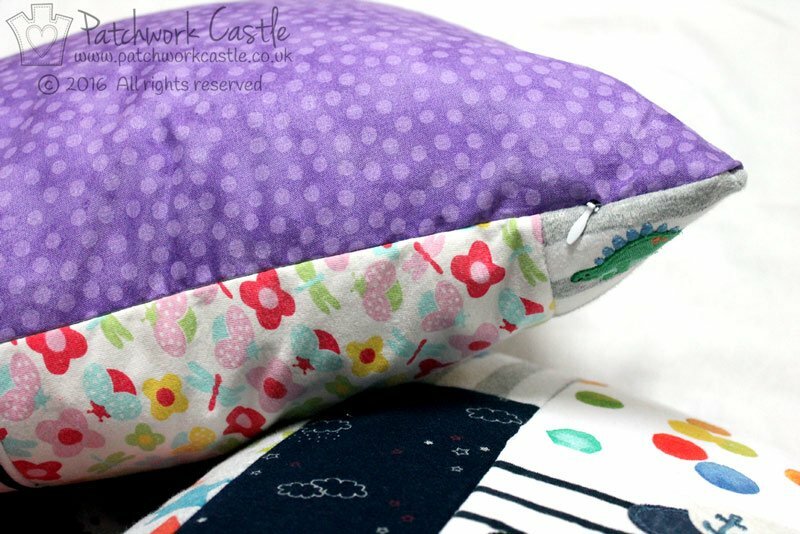 Patchwork Castle – Beautiful Memory Quilts & Keepsake Cushions, made for you from your treasured clothes. 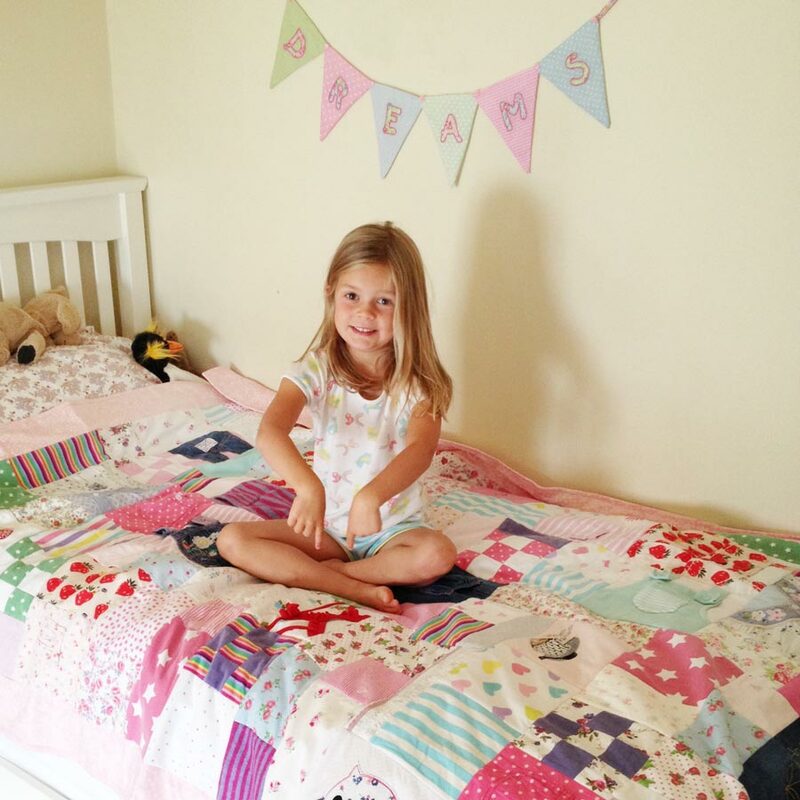 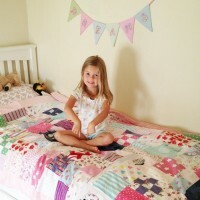 A happy customer with her Signature Mosaic Baby Clothes Quilt - single size. 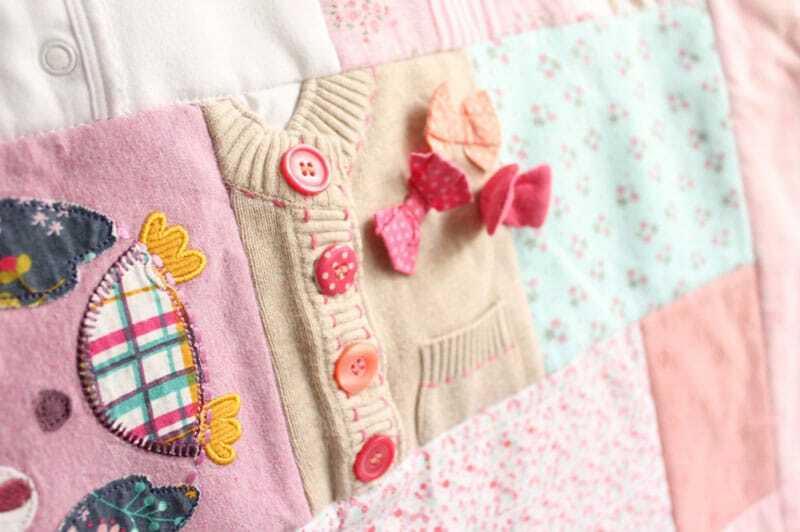 A gorgeous cardigan with pretty buttons on a baby clothes Memory Quilt. 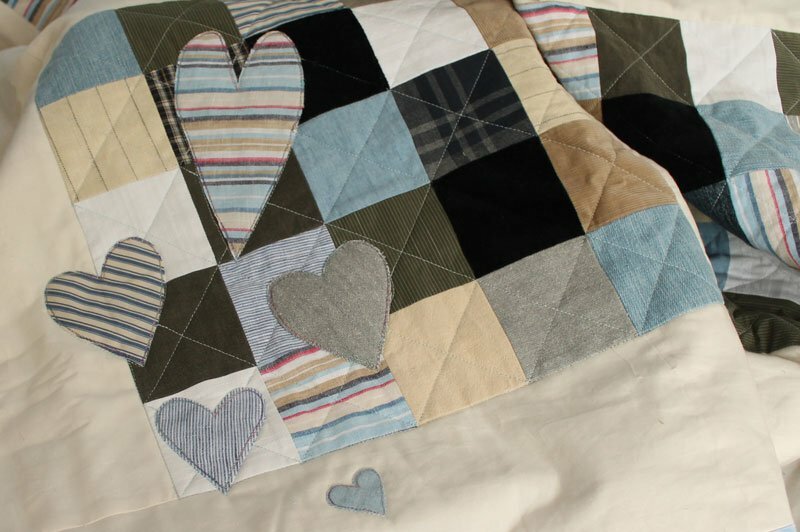 We're often asked to make patchwork quilts with particular appliqué motifs. 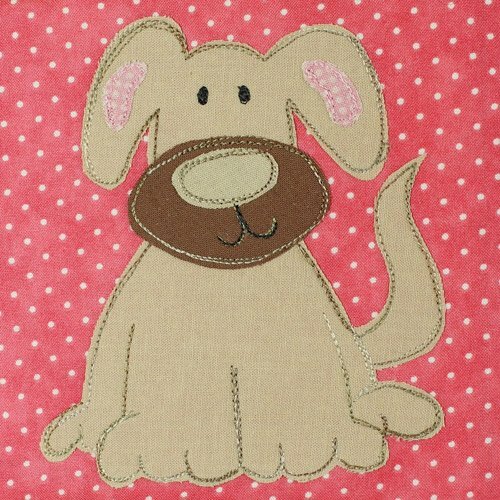 Here's a cute dog! 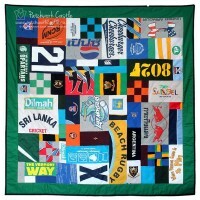 Baby Clothes Signature Mosaic Memory Quilt. 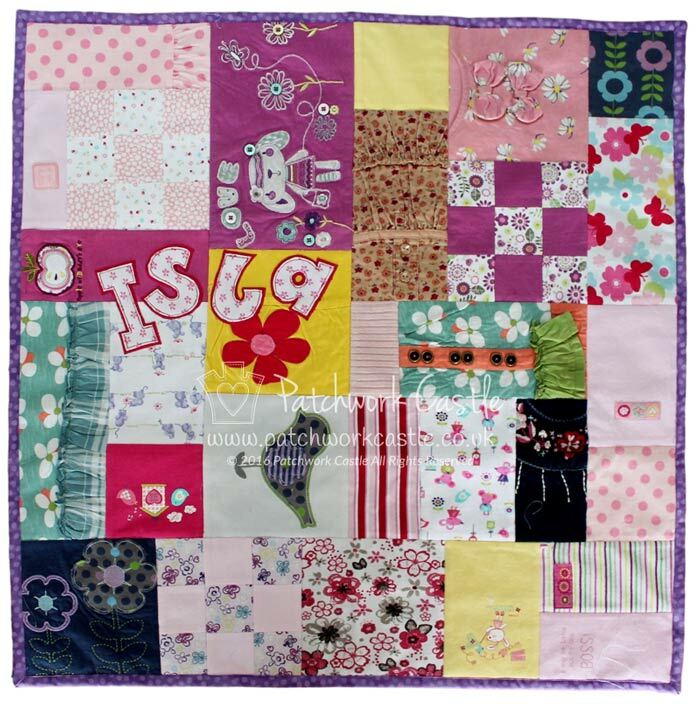 Signature Mosaic Baby Clothes Memory Quilt - lilac dots backing, cot-bed size. 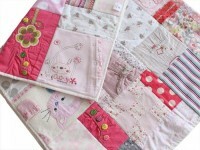 Cute little dungarees on a baby clothes Memory Quilt. 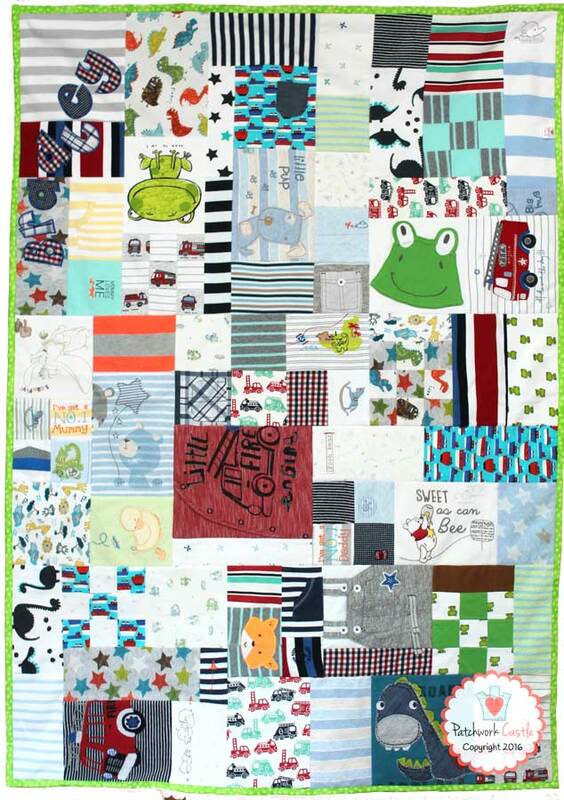 Signature Mosaic Baby Clothes Memory Quilt from boy's clothes. 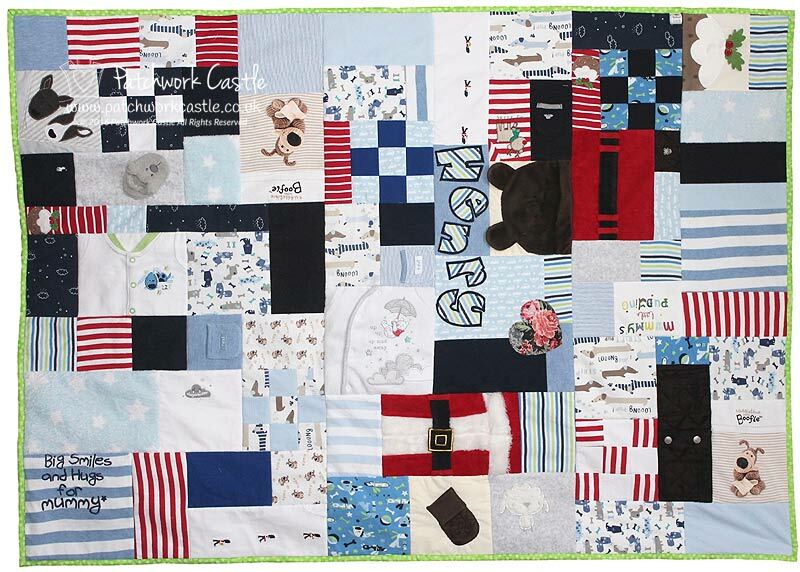 Signature Mosaic Baby Clothes Memory Quilt with sky blue stars backing, the most popular backing choice for boy's quilts. 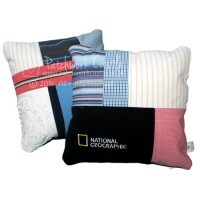 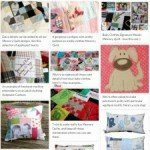 We love adding photos to our quilts and cushions. 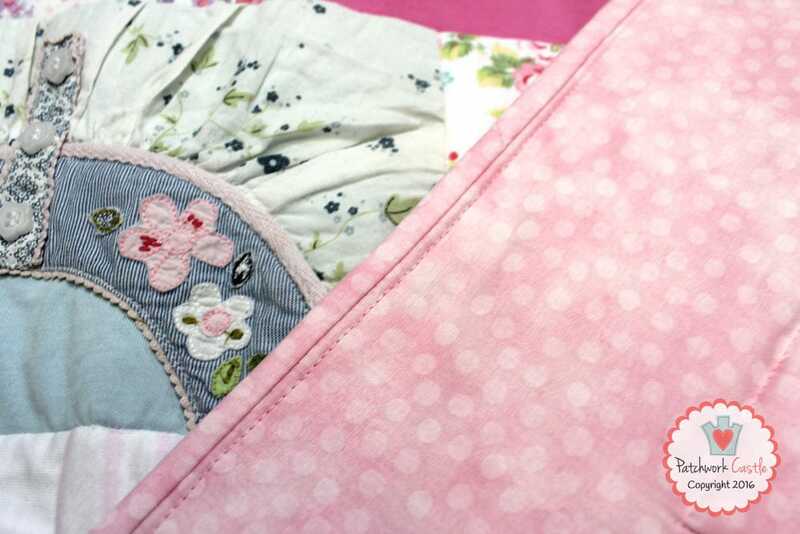 Here's a darling sleepy baby in her baby sleeping bag - notice the fabric around the edge? 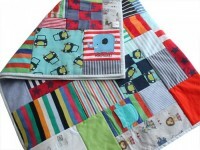 Yep - it's the sleeping bag! 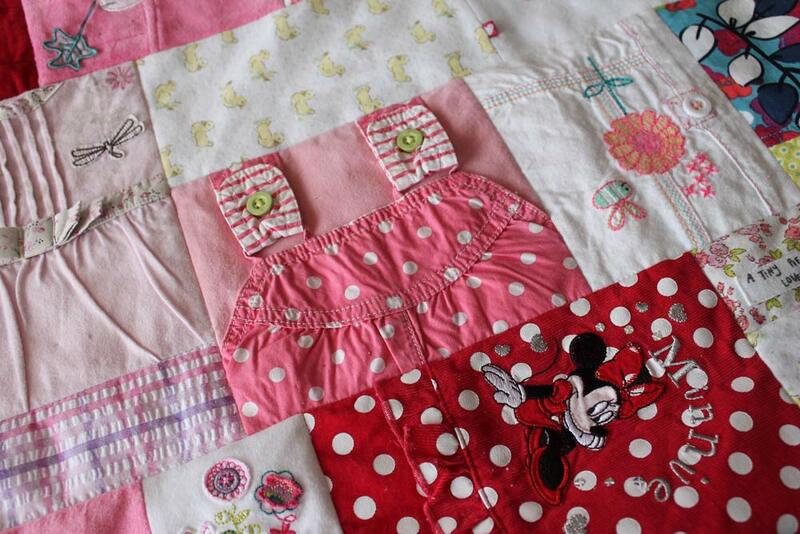 A baby girl Memory Quilt showing the back of the quilt and the binding. 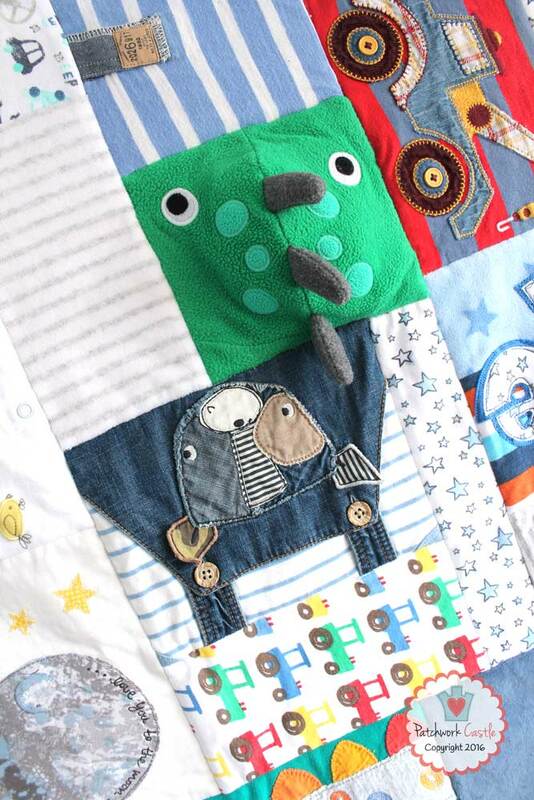 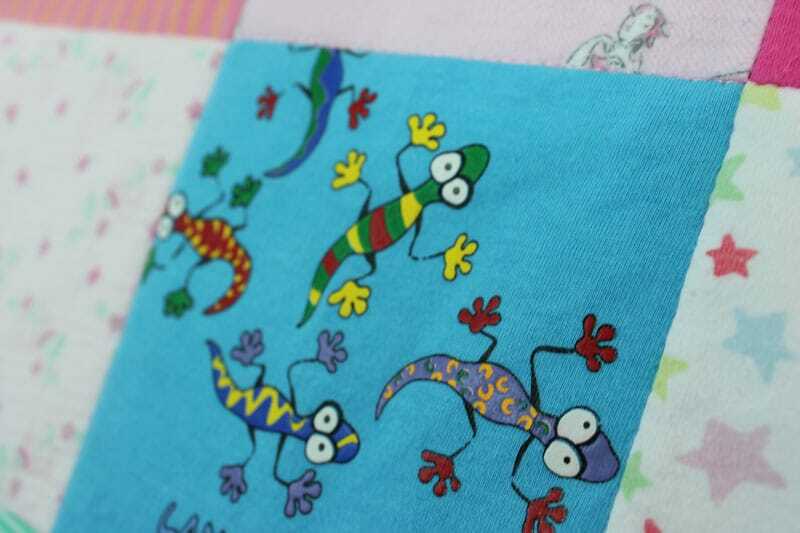 A very cute dinosaur on a baby clothes Memory Quilt - we stuffed the patch slightly to keep the shape of this lovely hood. 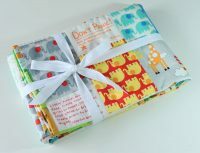 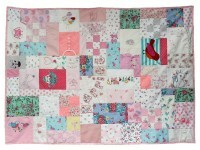 Baby Girl Memory Quilt - really gorgeous with the yellow backing, and extremely cute piggy hat! 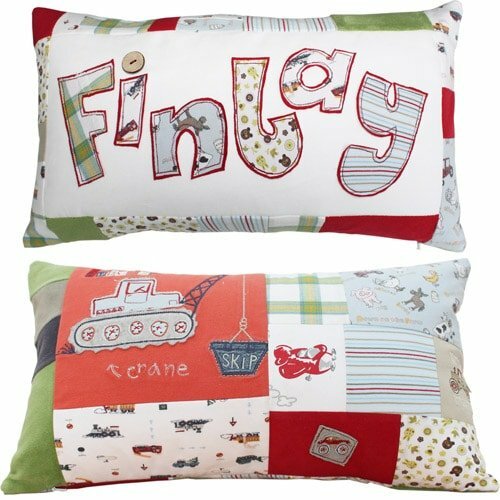 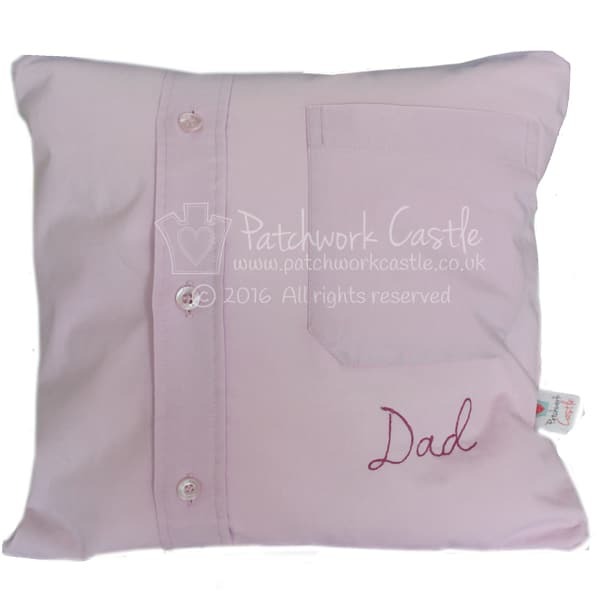 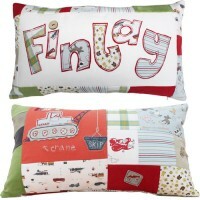 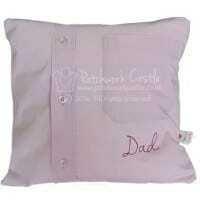 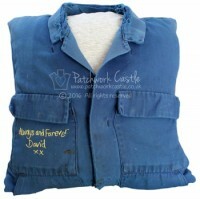 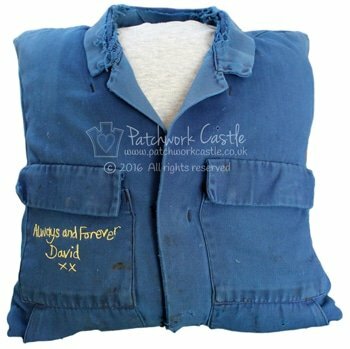 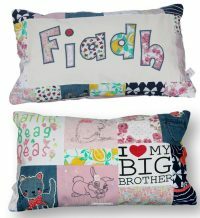 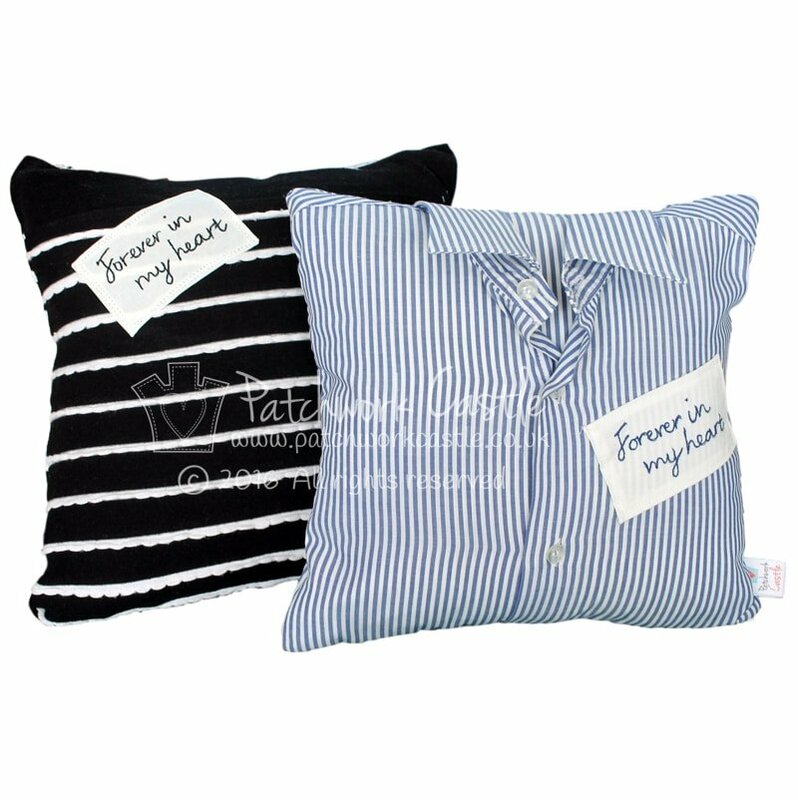 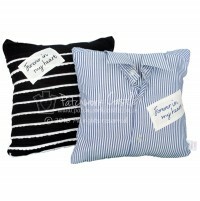 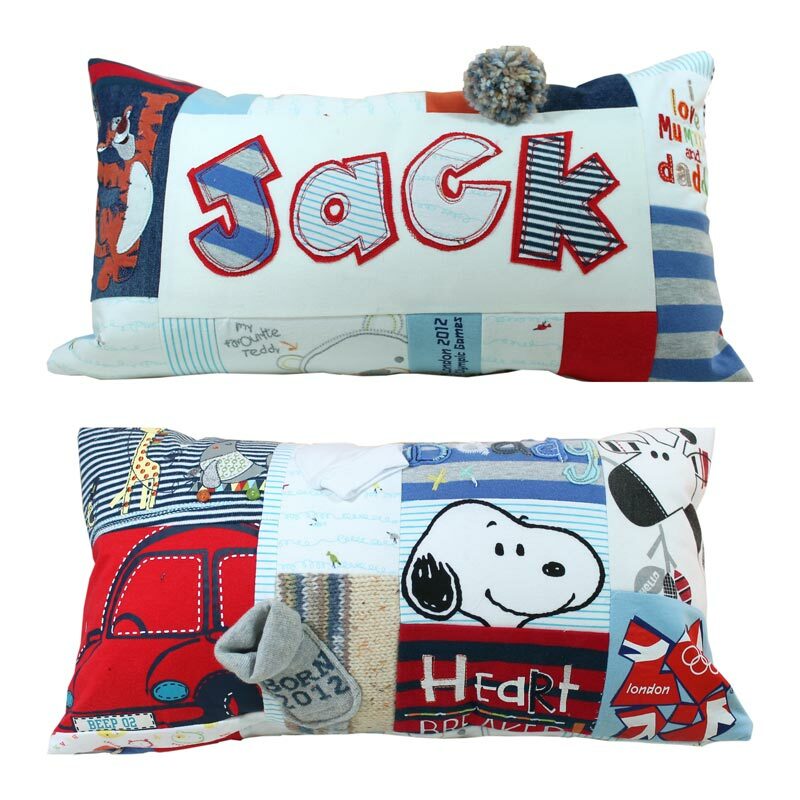 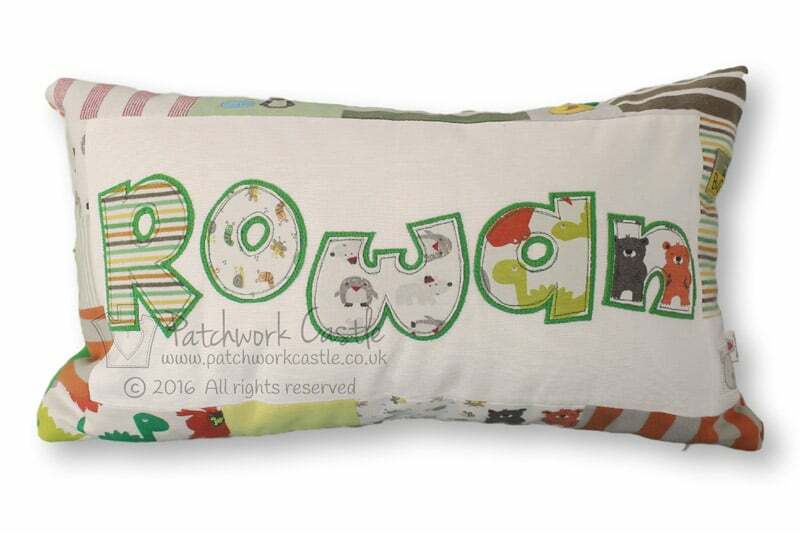 One of our Keepsake Personalised Patchwork Cushions using little boy's baby clothes. 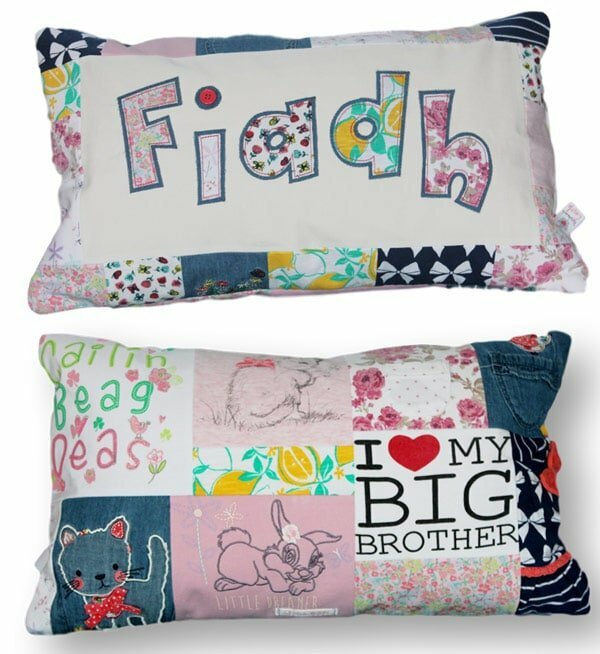 The first Keepsake Personalised Patchwork Cushion we made. 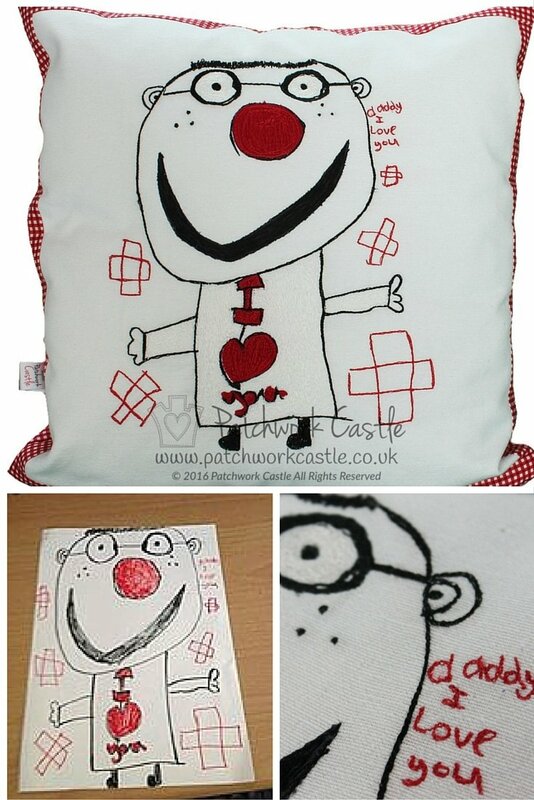 This was a special request from a customer, and we loved it so much we offered it to everyone! 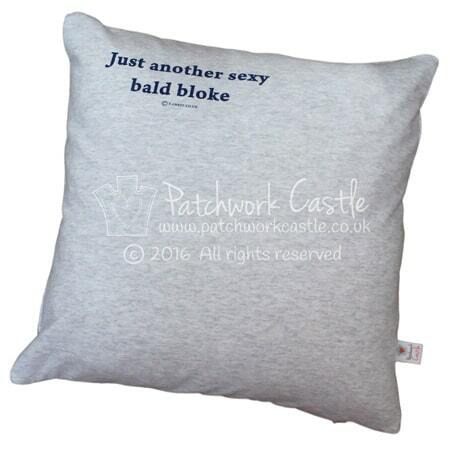 Our Keepsake Personalised Patchwork Cushion. 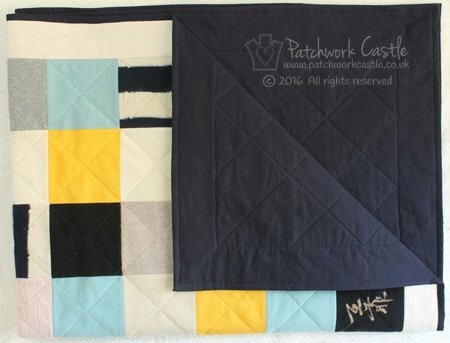 Still one of my favourites! 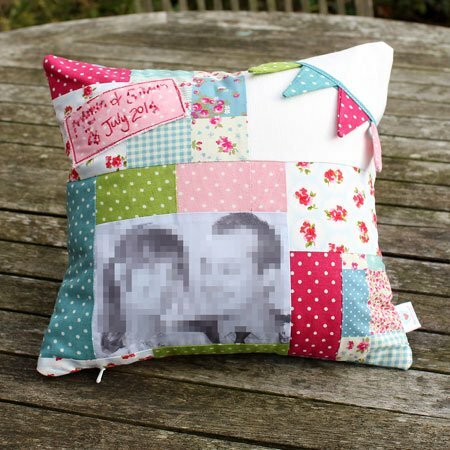 Personalised Keepsake Patchwork Cushion - they turn out differently every time! Keepsake Square Patchwork Cushion made from my little boy's clothes! 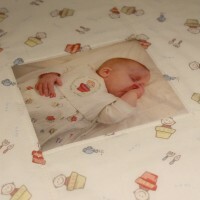 Still love it, and he still has it on his bed even though he's not so little anymore. 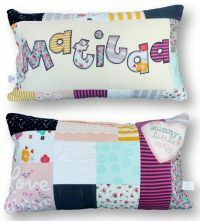 Personalised Keepsake Patchwork Cushion - girls clothes! Mermaid appliqué cushion using child's artwork translated into appliqué. 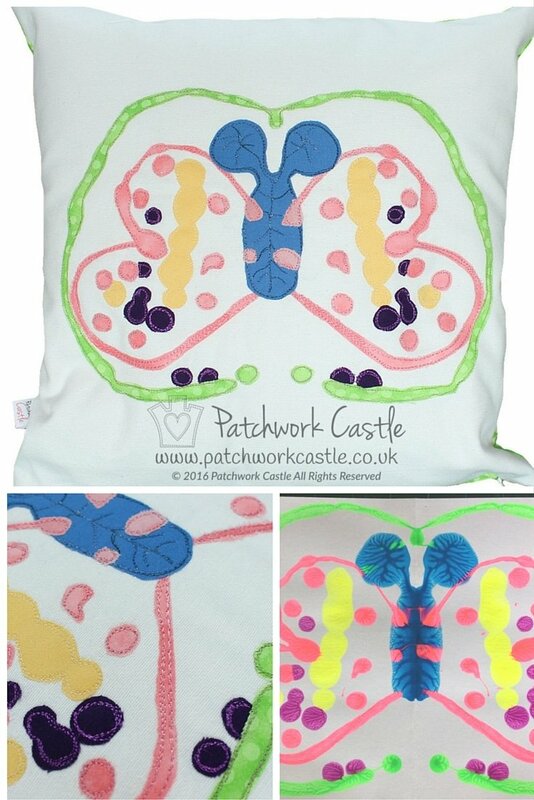 Butterfly appliqué cushion using child's artwork translated into appliqué. 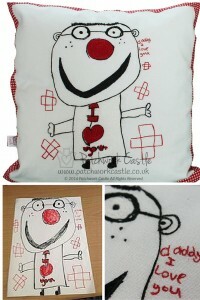 Children's drawing as appliqué design on a very special cushion for Dad. 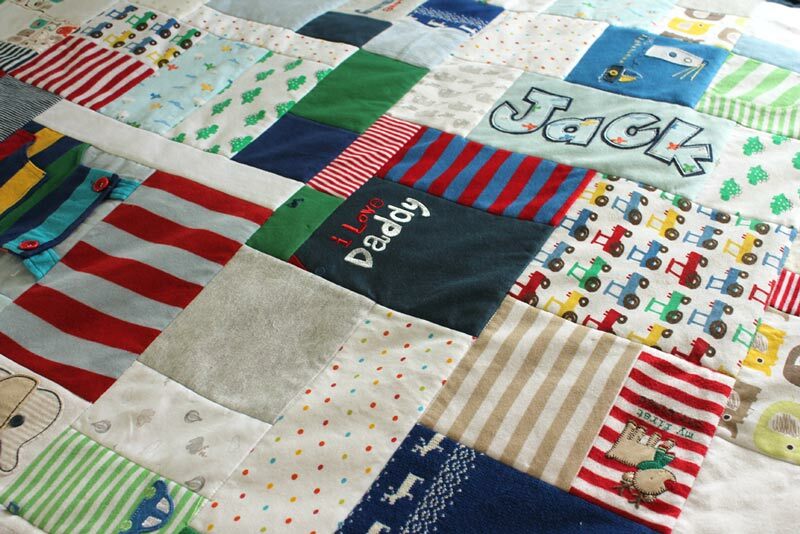 A bespoke appliqué quilt. 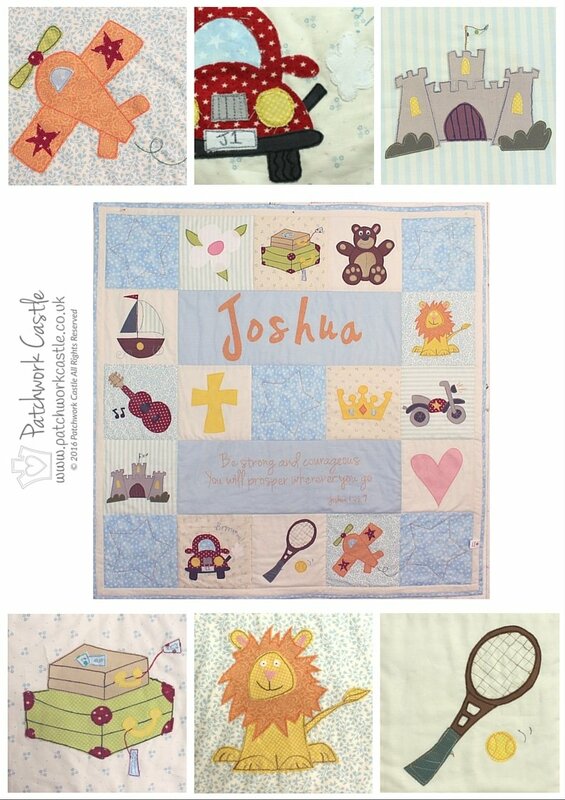 All the appliqués on this quilt were requested by the boy's mother, designed by Chris at Patchwork Castle, and then added to the quilt using new fabrics, and freehand machine embroidery. 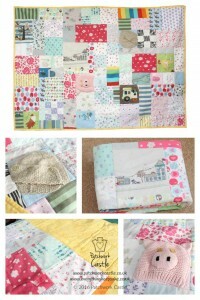 This was really fun to do. 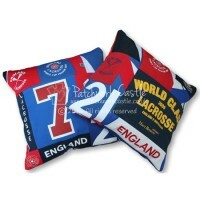 We can do this for you - just let us know your colour scheme, and the pictures you'd like appliquéd. Pretty fabrics from a couple's wedding, with the bunting recreated in miniature. 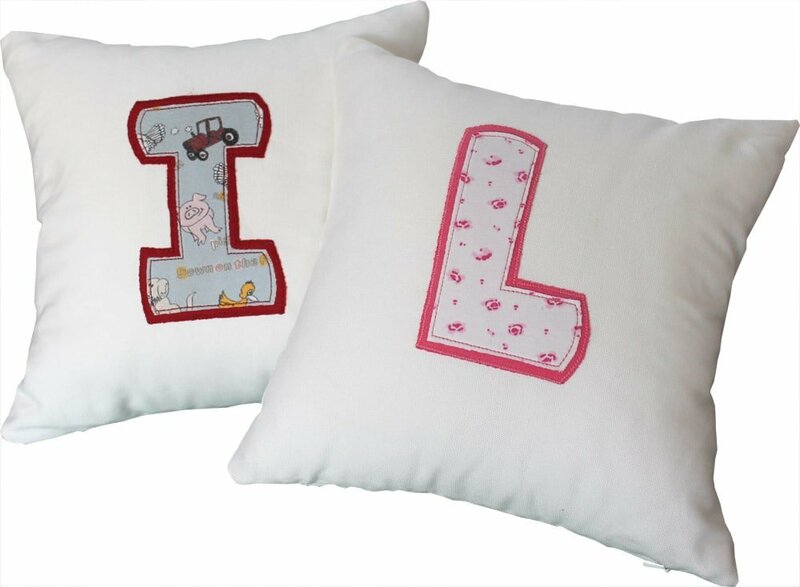 Small cushions featuring the children's initials in applique. 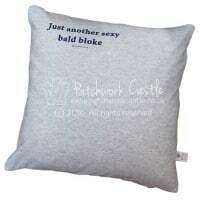 A request from a customer but this one comes up time and time again! 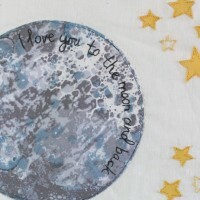 A very special commission for a wedding gift. 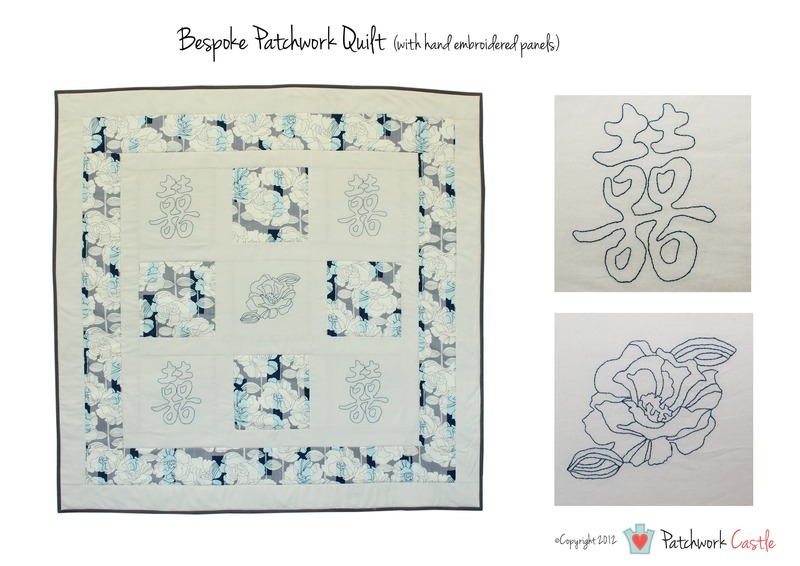 Using just a beautifully patterned fabric with calico, and hand embroidered panels. 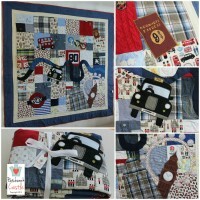 A very special commission for a little boy who loves London. 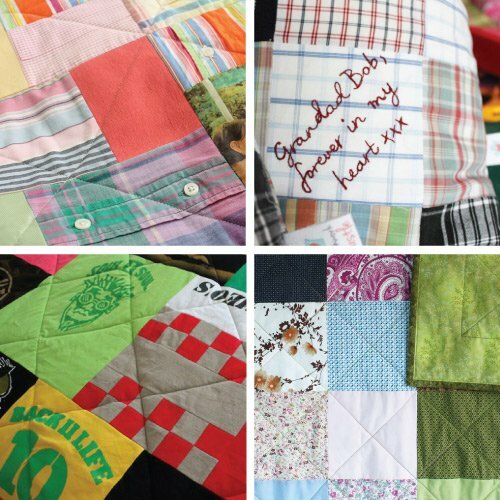 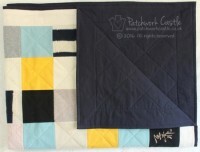 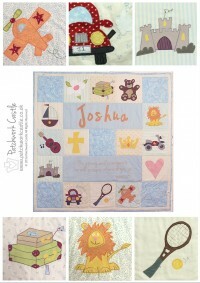 We were asked to use his clothes and new fabrics to create this special quilt. 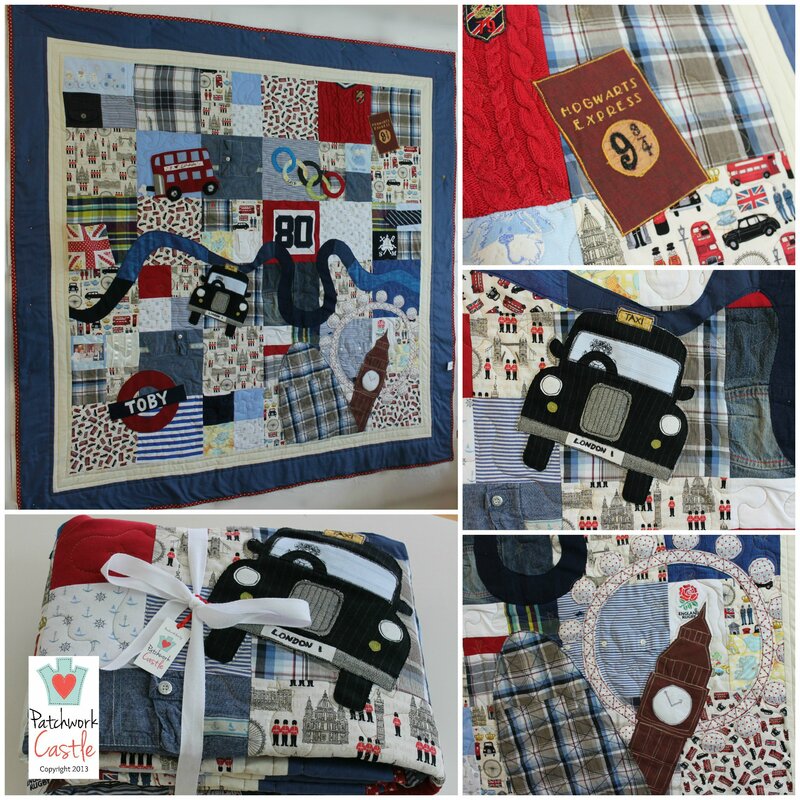 Can you spot all the landmarks? 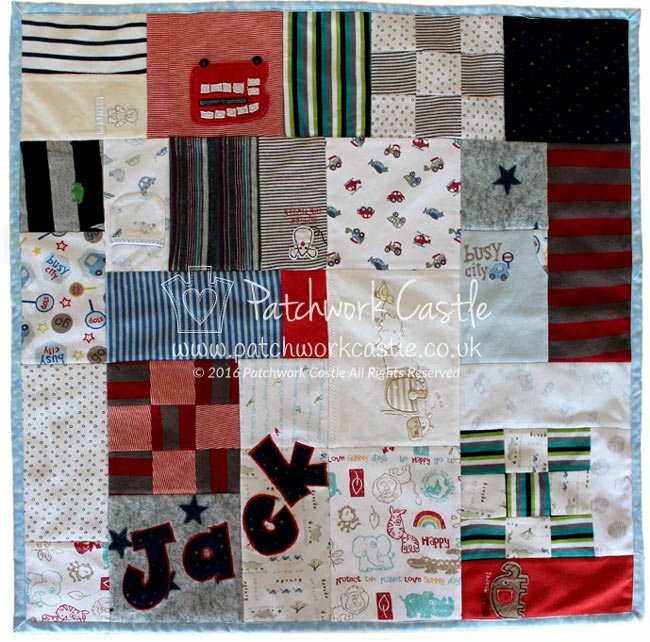 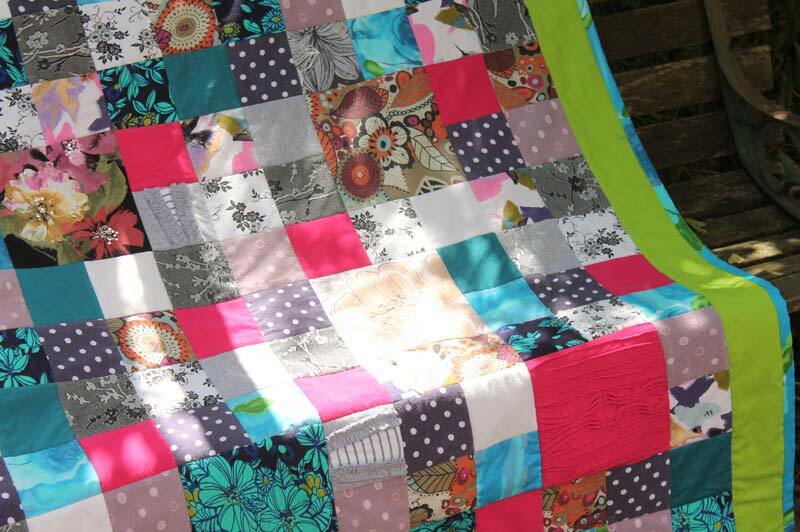 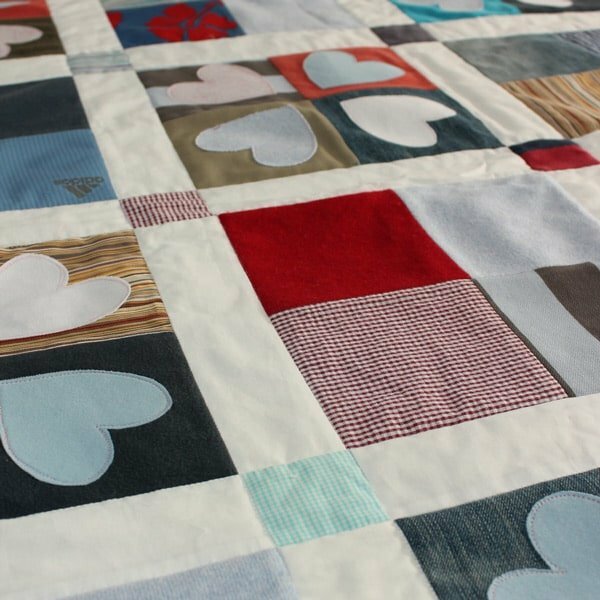 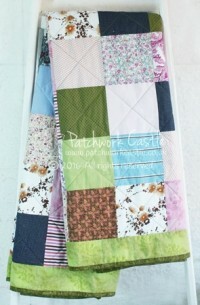 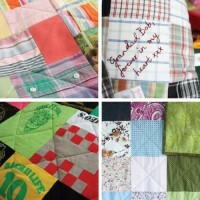 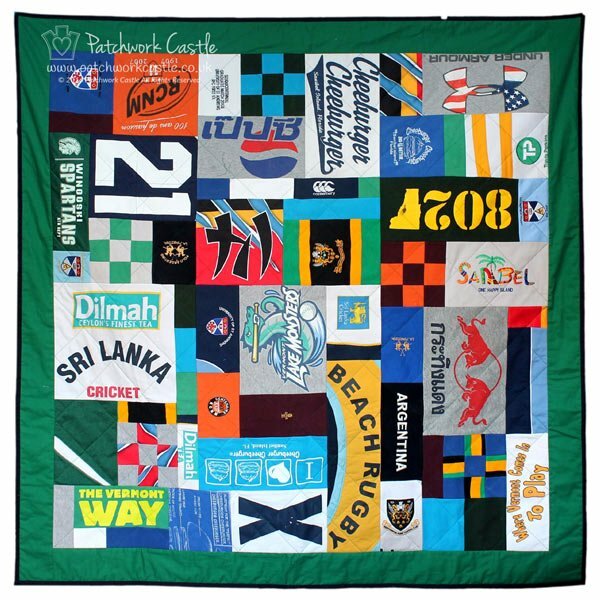 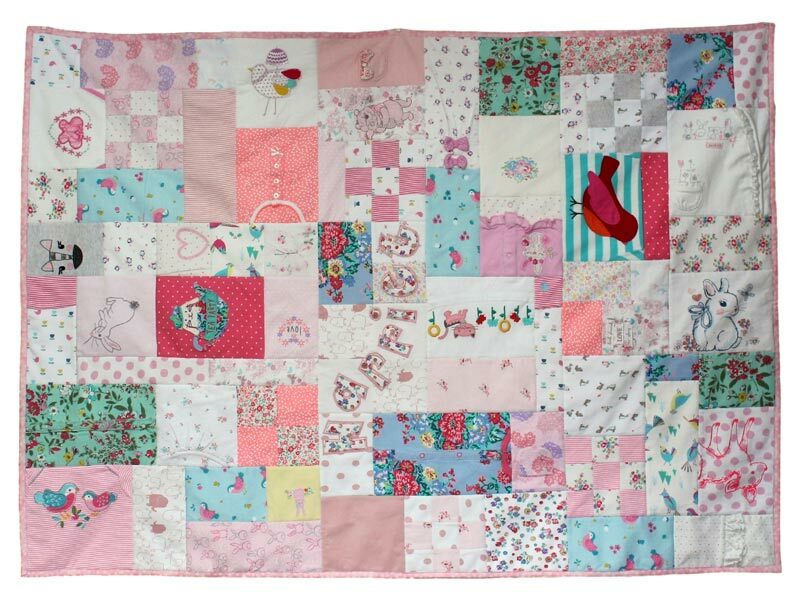 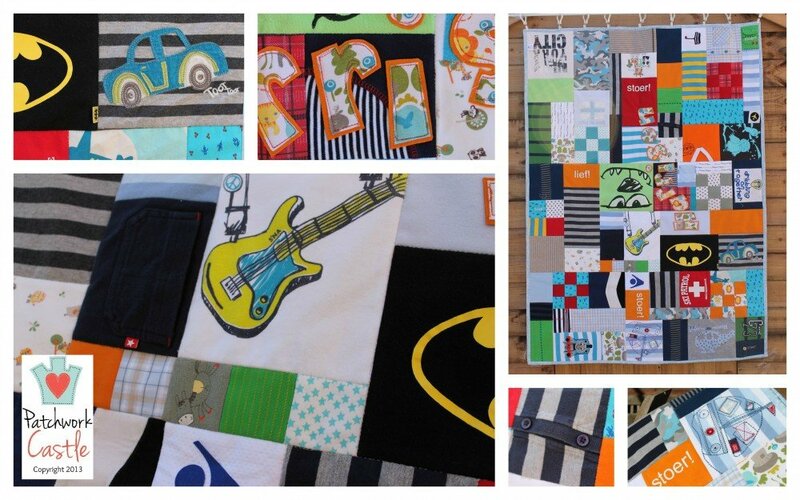 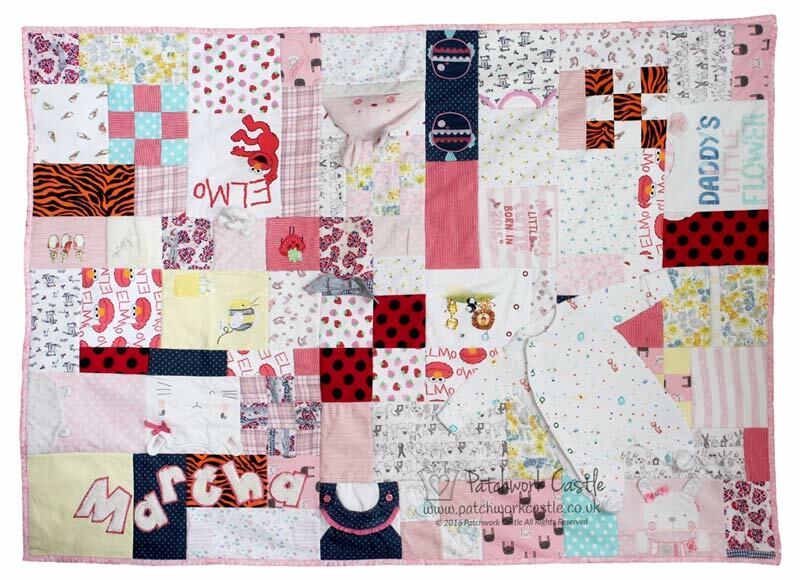 Patchwork quilt with messages for a new baby.